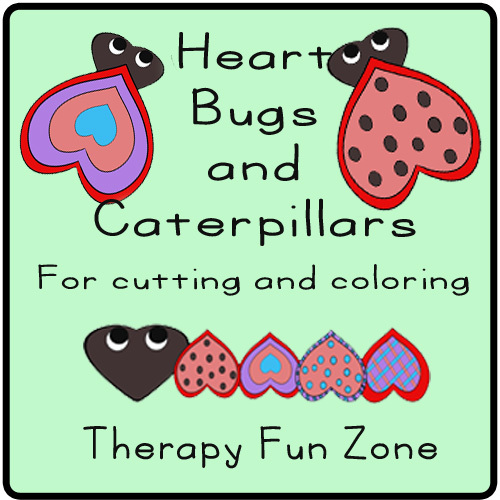 Color and cut out hearts to make bugs. This is a simple fine motor activity to work on coloring, cutting and gluing. 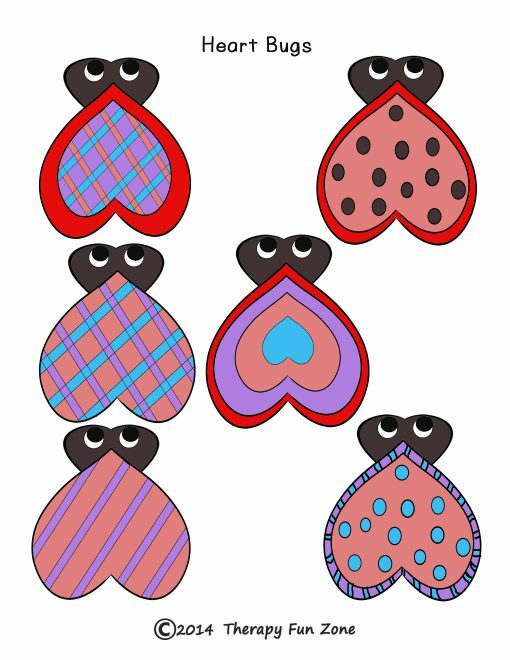 There are heart shapes with designs to color and cut out. You then glue the hearts together to make bugs and caterpillars.